Take a look at our Curiosity based nurseries in Farnborough, Pirbright & Totton. We guarantee you’ll like us. We understand that this is one of the most important decisions you will ever make. The development of your child during those early years is so important, and we really get that. Every day we explore new ways to expand your child’s experience and learning in a fun and stimulating way. Our nurseries offer a friendly and homely environment, with Fresh and Nutritious Meals made at the setting. Expertly trained staff will care for and nurture your child through their exciting day with us. When you leave your child at a Pear Tree setting you can have complete peace of mind knowing your child is safe with loving and caring staff; that will treat your child as an individual. 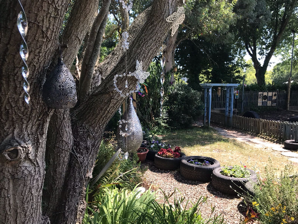 Pear Tree Childcare is a selection of 5 Boutique Curiosity Approach Day Nurseries with local family values at our core. We believe in providing children with opportuninties to promote Curiosity and Imagination throughout their day with us. 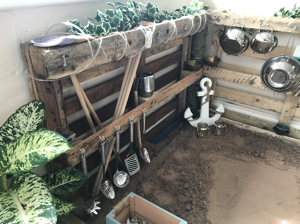 All of our settings are huge advocates of risky play and using real everyday authentic materials. It is important that children are able to take manageable risks in order to understand how to stay safe, our children are trusted to use real items in their play giving them the vital skills to handle items such as ceramics with care and respect. We encourage all children to dress for mess on nursery days. We have ample opportunities for creativity throughout the day so that children are able to channel their inner artist! 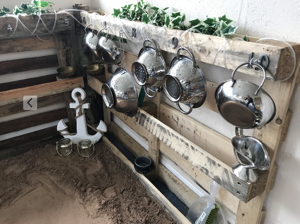 all of our settings provide free flow access all year round to enable children to have autonomy over their own play, experiencing all the seasons and elements that come with them... theres no such thing as bad weather just bad clothing! Each of our nurseries have a designated baby room with qualified staff who will follow your child's home routine, meaning consistency both at home and nursery. 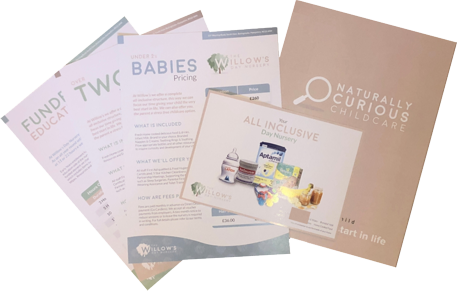 We are all inclusive settings meaning we provide all branded nappies, wipes, creams, formular milk, bottles etc meaning you as busy parents can leave home in the morning knowing everything is already taken care of. The best way to understand how we work is to come and see for yourself. 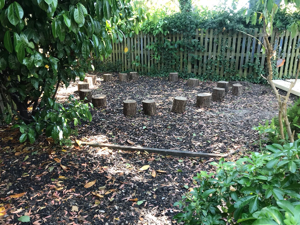 We would love for you to come and spend time in our settings to understand our ethos and our child centred approach.